When Nate gets an urgent call from Annie about a lost picture, he immediately plunges into his new and baffling case with the cool detachment of a Sam Spade. 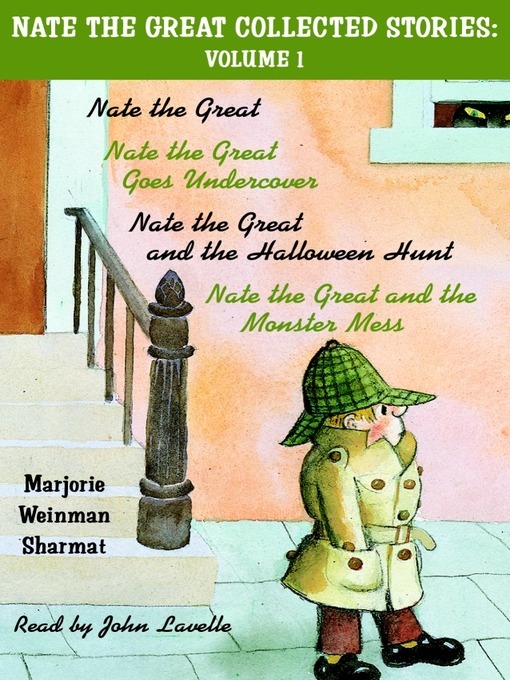 Getting all the facts, asking the right questions, narrowing down the suspects, Nate, the boy detective who "likes to work alone," solves the mystery and tracks down the culprit. In the process, he also discovers the whereabouts of Super Hex, the missing cat. Nate the Great has his first night case! Somebody is raiding Oliver's garbage can each night, but who? The list of suspects is long–Rosamond and Esmeralda, the girls down the street; Rosamond's cats; and all the shrews, moles, skunks, birds and raccoons in the neighborhood. Nate courageously encounters a skunk and a telephone pole, but not until he goes under cover of the garbage can lid does he narrow the suspects down to one. It is Halloween night and Nate's good friend Rosamond needs his help. Her cat Little Hex is missing. Little Hex hates Halloween, so maybe he is hiding. Or is he lost? Nate and his trusty dog, Sludge, take the case and hunt in the night for Little Hex. They pass robots, pirates, and witches. But where will they find Little Hex? Nate loves his mother's Monster Cookies, but now her recipe is missing! Nate the great has never solved a case for his mother before. Can he do it? With his dog, Sludge, they look, sniff, climb up, bend down, push, and pull. They find long and short clues. And fishy, fangy clues, but which clues count? Can Nate the Great ever hope to eat those wonderful cookies again?